And every family has a story. This Is Us chronicles the Pearson Family across the decades. What a surprisingly fantastic show! No other series has made me cry as much! I literally ugly-cried during almost every other episode! I’ve heard of the hype surrounding This Is Us but chose to dismiss the show for some reason (also the name This Is Us just didn’t sound all that intriguing honestly) until now. I wasn’t planning on it, but “accidentally” binge-watched the whole thing, and was absolutely shocked by what an excellent show it was (completely unexpected)! 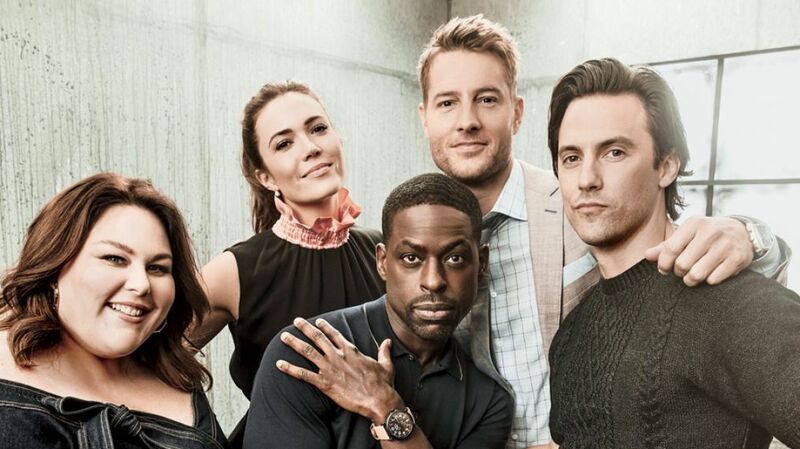 I didn’t recognize much of the cast aside from the Milo Ventimiglia (whom I absolutely adored on the show Heroes) and Mandy Moore (grew up watching her in rom-coms but never really warmed up to her) and Justin Hartley (can’t quite place him but his face looks familiar). Regardless, the acting of every single cast member was superb! At first, I found the time-line jumping (from past to present) slightly irksome, but it turns out that it was not only pertinent to the story, but also added an interesting flavor to the show itself. It’s difficult to explain what the show is about, while simultaneously doing it justice. Obviously, it’s not sci-fi so don’t expect any fancy-schmancy special effects. Nor is it a comedy, which initially, I thought it was, for some reason and was dreading hearing the laugh-track. This Is Us is a highly emotional and extremely endearing family drama! Oh i absolutely love this show!! I decided to just watch an episode to see what the hype was all about and landed up binge watching it. I fell in love with every character and cried profusely when Jack died. Hi Sonia lol MAJOR spoiler but yeah, I hear you. I was ugly-crying way before that, though. Literally, every other episode had me bawling like a baby lol I’m pretty much in love with Jack at this point!